HOLLYWOOD – On the eve of the third season premier of Game of Thrones, let the amazing fact dragon Studio Exec breathe a fire of purifying non-fiction into your Hordor-shaped head, dispelling the enchantments of myth concerning the HBO masterpiece of televisual umphka-ba-rumph. 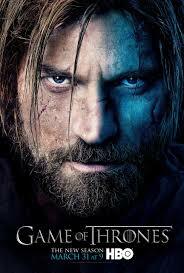 1 The Game of Thrones television series is an adaptation of Danish crime drama Spil af Troner which starred Mads Mikkelsen as a weary alcoholic police inspector, who was weary and alcoholic until a young girl is murdered and then he’s weary and alcoholic and searching for a killer in the white wastes of Northern Denmark. 2 The writer George R.R. Martin is the great grandson of J.R.R. Tolkien, but when an English gentleman has a baby with a dirty Yankie scullion maid (as Grandma Martin then was) offspring are legally allowed to keep only the middle initials. 3 In adapting the books for the screen, writers changed many names to give the material a more realistic grittier feel. The Banstickitons were changed to the Lannisters; Biggus Dickus was changed to Little Finger and Portcullisarian Ephmayllindyoniousi was changed to Ned Stark. 4 Peter Jackson has consistently embarrassed himself by publicly praising the use of forced perspective and motion capture to create Peter Dinklage’s character Tyrion Lannister, or the Imp. 5 The dragons are all from Romania. Seventeen dragons are used in total even though there are only three dragon characters. This is due to Romania’s strict labor laws for mythical creatures, which means any one dragon can only work for four hours a day.